The recent reports regarding the Concerned Copyright and Intellectual Property Owners’ (CCIPO) open letter to the Honourable Attorney-General of the Federation, Mohammed Adoke-Bello (SAN) (AG-Fed) is of tremendous import with regards to the development of the music industry in Nigeria. The letter contained a plea by the CCIPO for the AG-Fed to intervene on behalf of the former to compel the Nigerian Copyright Commission (NCC) to approve another collecting society for owners of music copyrights. The matter centres around the issue of collective administration of musical copyrights in Nigeria. In particular, the issue of the collection of royalties and the monopoly of the Copyright Society of Nigeria (COSON) in this area, being the only body approved by the regulator, the NCC, to operate as a collecting society for music rights. As it stands, COSON has both been very vocal and visible with respect to its fight against criminal copyright infringement as well as holding various organisations and industries liable in civil law for lack of payment of license fees. This is in addition to its public relations offensive and educational activities to promote the issue of copyright in the music industry. The organisation’s efforts over the last two years have been commendable and the amount of fees they have been collecting and distributing have reportedly been increasing year on year. Where the organisation has been heavily criticised has been in relation to its royalty calculation and distribution formulae, and associated methods. Lack of transparency has also been a levied at the company in addition to the issue of its lack of adequate infrastructure for monitoring the uses of works by commercial users throughout the country. Now, while I am in total agreement with the wide held view that competition is crucial to the development of any industry and economy, the area of collective rights management is unique and therefore requires a gradual process of development until it can be (fully) de-regulated. The mere approval of another collecting society will not in itself ensure that more users will pay license fees for use of music in their respective businesses, nor that music owners will enjoy greater compensation for use of their works. The tendency of (over)- “fragmentation” that is prevalent in most spheres of Nigerian social and economic structures will likely be the result of this desire for ‘de-regulation’, resulting in more confusion, higher transaction costs and ending in less users paying license fees or using music. Collective management of copyrights is a system in which owners of works authorize collective management organisations (“Collecting Societies”) to monitor the use of their works, negotiate with prospective users, issue licenses against appropriate remunerations, (usually on the basis of a tariff system), collect such remuneration and distribute it amongst the owners of the works. The rationale for this system arises from the impracticability of managing these activities individually. The transaction costs involved for rights owners to individually administer the public performance rights, (for example), to their works would likely end up being more than the price of the license fee for the use of same. Thus, third-party organisations represent the interests of a group of owners and these ‘collective rights’ organisations, (by virtue of their core activities), enjoy economies of scale when administering these rights on behalf of a large group of rights holders. COSON has repeatedly argued that it is adequately protecting the interests of Nigerian music copyright owners, citing the many civil suits it has filed against various organisations and industries that use music in the course of their businesses. The anti-monopoly advocates, on the other hand, point to COSON’s lack of transparency and accountability, with particular regard to monitoring of works and royalty distribution amongst its members. Nigeria’s current legal framework with regards to the collective management of music rights (and its regulation) is contained in the Copyright Act Chapter C28, Laws of the Federation of Nigeria 2004 (the “Act”), and the Copyright (Collective Management Organisation) Regulation 2007. We operate what can be described as a unitary Collecting Society model with the flexibility to accommodate multiple societies, while having NCC as the overall regulator. Based on our system, the NCC is not obliged to grant any other organisation a license to operate so long as it is of the opinion that COSON is adequately serving the interests of music copyright owners. Also, because the Act is silent on what would constitute the ‘adequate protection of interests’, it is presumably left to the NCC to decide upon. The primary focus should be on issues surrounding the distribution methods of COSON as well as the adequacy of its infrastructure for the monitoring of the use of works. Audio recognition software as well as the use of ‘field operatives’ to gather accurate evidence of use of works by businesses, broadcasters and other commercial users should be the short to medium term aim. 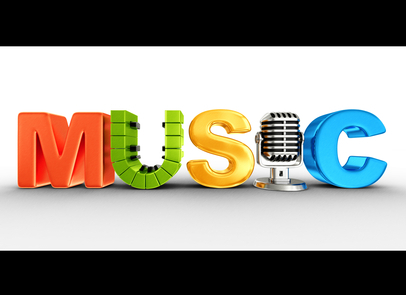 The accurate collation of music usage by licensees also serves the secondary purpose of providing a basis for a more equitable distribution of royalties and license fees amongst members. Commercial users are not mandated by law to keep playlists and logbooks so it is even more imperative for COSON to carry out these activities. Both sides in the dispute must not lose focus of the ultimate goal; to wit, having a suitable administrative framework for music copyright administration in Nigeria, that would involve a simple and efficient method for users to obtain lawful licenses to enjoy creative works, whilst ensuring the equitable distribution of fees and the rewarding of creators thereby stimulating further creativity and innovation. It seems both sides of the argument have this intention in mind and must therefore cooperate and engage in continuing dialogue to find some middle ground on which a consensus can be built. Olumide Mustapha Esq (QSEW) is a Media and Entertainment Attorney. He can be reached by telephone on +234 810 421 55 00, or by email at lumimustapha@gmail.com. He also tweets from the handle @lumes_bg. To read further on COSON and its battles, disputes and progress, check out BON, COSON and MUSIC-SHUNs: 5 THINGS.